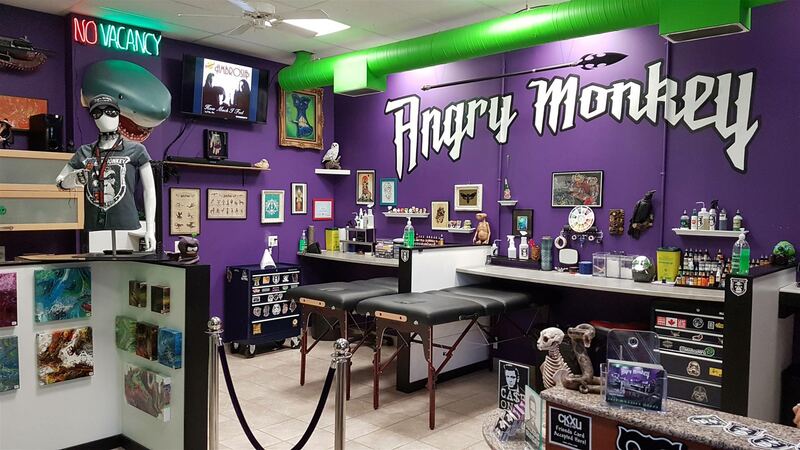 Angry Monkey Tattoo & Art Gallery is focused on creating custom tattoo designs. Established in 2016, we are artist owned and operated, with two full-time tattoo artists working Tuesday-Saturday. 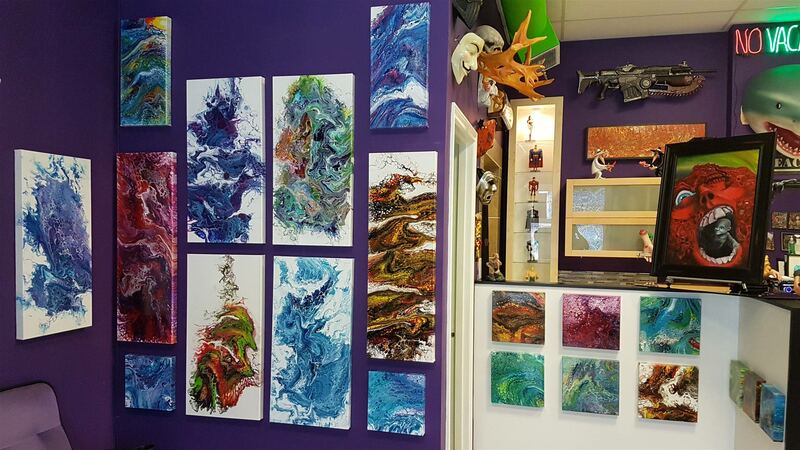 Original artwork fills our walls and we have one-of-kind ready-to-hang original canvas paintings for sale inside. Walk-ins are available every Friday beginning at noon. Visit us in downtown Lethbridge, just one block from Park Place Mall and half a block from Galt Gardens. 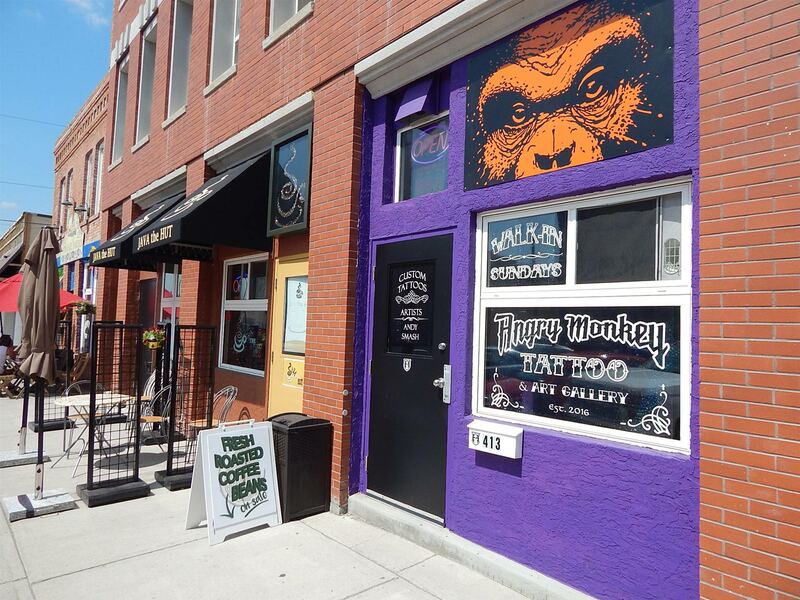 Located at 413 2 Ave S, right next door to Java the Hutt and just down the street from Tacos Made in Mexico. Paid street parking is available out front; one block from nearest bus stop. Our shop is approved by Alberta Health, 100% disposable and our artists are blood-borne pathogens certified. Tattoo appointments must be booked in person and require a deposit. Consultations can be booked in person, online or over the phone as they are free of charge. 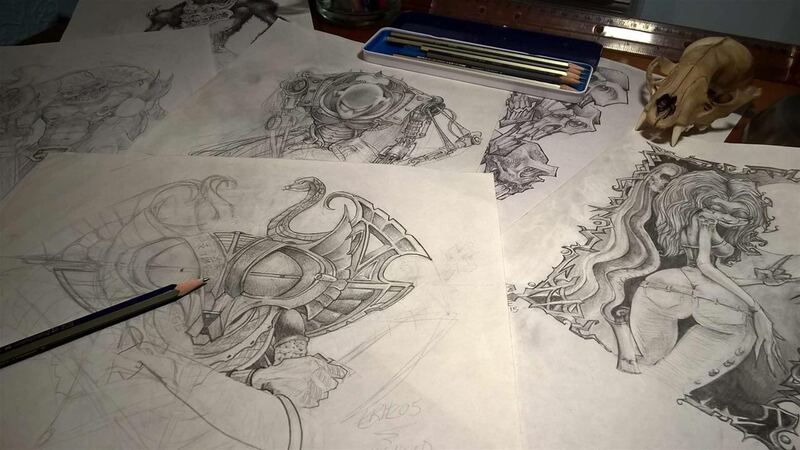 If you have any reference material to assist in explaining your tattoo idea please bring it with you. We will provide you with aftercare instructions and ointment to use following your tattoo. You must be 18 or older with photo ID to get a tattoo, we do not allow minors in the shop. No piercing, tattoos only.